Who wouldn't want to run 5k along the seaside in their underwear? Great for all who want a chilled run in aid of the Children's Tumour Foundation. Come along for the finisher's undies and the post-race celebrations. Hop, skip, dance or cartwheel your way through our ‘brief’ 1.5km run. Cupid’s Undie Run is not about winning or losing, it’s about FUNDRAISING FOR A CURE! Cupid’s Undie Run is the largest community fundraising event for the Children’s Tumour Foundation. It puts the FUN in ‘fun run’ and provides an opportunity for Australia to come together and party our pants off…all for a good cause! Cupid’s is a celebration– with a post run after party packed full of entertainment! We want to celebrate our differences and encourage everyone to #Dare2bare. Whether you run in your undies or wear a crazy costume, you can help us shine a light on Neurofibromatosis (NF) and spread the message that STRIPPED DOWN, WE ARE ALL THE SAME- we are all beautiful, strong and deserving of acceptance. NF causes a range of health problems, including the growth of tumours on the nerve cells. People with NF can develop internal and external tumours that can be disfiguring and/or make the sufferer feel ‘different’. By participating in Cupid’s, you are saying that it is OK to be different, while raising awareness and much needed funds for a genetic disorder that is often misdiagnosed and largely misunderstood. This is a day that isn’t about running, winning or even undies…it is about coming together to #ConquerNF! Once you have completed the run, head back to Kiama Surf Life Saving Club a sausage sizzle while enjoying the post run celebrations! Enjoy fun games and music raffles, prizes for the highest fundraiser and best dressed, games and more! 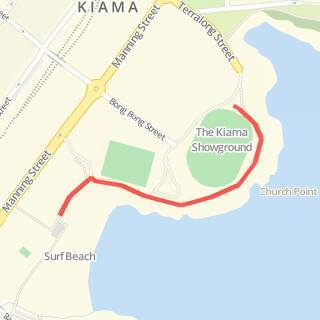 How was Cupid Undie Run – Kiama?